We’re excited to announce the latest evolution of the Crete Express service! If you’ve ordered with us in the last few weeks you will have already been introduced to the new website, www.CreteExpress.com. We’re rolling this out to all of our Crete Express customers in the coming months. You don’t have to do anything extra to get started. If you are sending something through the Crete Express, as soon as the first item arrives with us we will measure it up, photograph it and create an account for you. You will receive an email stating that you have a new Crete Express account, with a temporary password. Just log in and change your password, then you’ll be able to see your parcel! Each time you are sending goods with the Crete Express service, the total number of goods you are sending at once will be considered a “consignment”. A consignment is “open” once we have received the goods, and before you have paid. So to see your open consignment just choose the “View Your Open Consignment” button on the Home screen. The Nomad team will measure everything up for you and calculate the cost of transport. If you’re still waiting for more items to arrive, don’t worry, Nomad will update you each time we receive an item for you. We’ll add it to your consignment with measurements and a photo so you can see it. When your consignment is complete (when we’ve received everything you are planning to ship this time), you can scroll up to the top of the page and see the total price. If you would like to take insurance you can insert the value here and update it, and the insurance price will be automatically calculated. Then just click the “Pay & Reserve Vehicle Space” button and you’ll be taken to the secure Stripe server where you can pay for transport. The main change to our system is that our customers are able to secure space on our vehicles in the order in which they pay, not the order in which they place an “order form”. This means there is an advantage to paying as soon as your goods have arrived and are ready to send. Most of our departing vehicles become over-booked in the last few days leading up to departure. To ensure that your consignment makes it onto the next departing vehicle, “pay and reserve” your space as early as possible in the process, instead of waiting til the last minute. As soon as everything has arrived with us, complete your order by clicking the “Pay & Reserve Vehicle Space” button and we will confirm that your goods will be sent on the next vehicle. 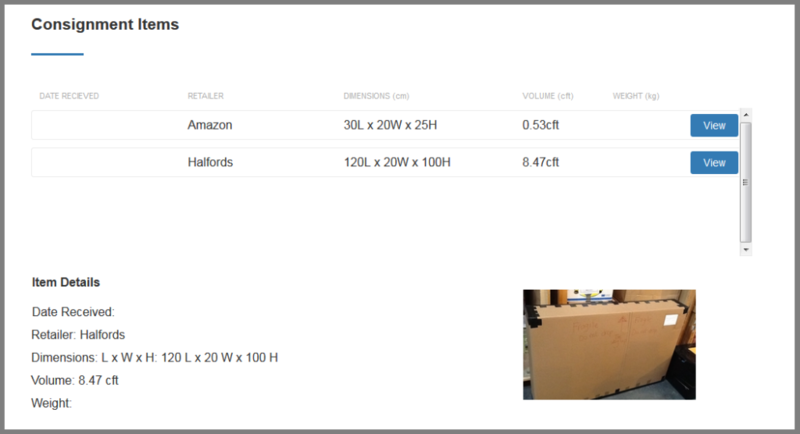 You can see on the website how much space is available on the vehicle vs how much space has already been taken by other customers who have confirmed (paid) for their shipments. 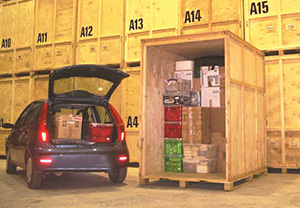 If we have received only part of your consignment (for example if you ordered 5 items from different retailers, 3 have arrived and you are still waiting for 2), it is fine for you to “Pay & Reserve Vehicle Space” for only the 3 items that have arrived, to ensure that these ones do go on the next departing vehicle. As soon as the 4th item arrives with us we will automatically open a new consignment for it. 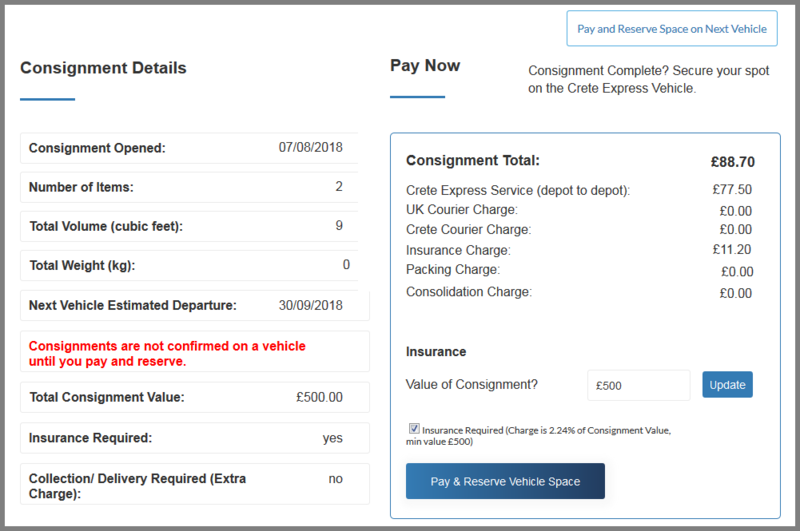 If the 4th and 5th items arrive in time, you can “Pay & Reserve Vehicle Space” for this second consignment to go on the same departing vehicle. If they don’t arrive in time (or if other customers pay first, and take up all of the available space), then this second consignment will go onto the following departure. Two reasons: service and efficiency. We want to be able to offer the best possible service to our Crete Express customers, and also to our removal customers. By modernising our Crete Express system we will save time and be able to offer much better service to our Crete Express customers, and free up some time to provide even better service to our removal customers. Besides being more efficient, the new system provides a better experience for our customers, by giving them more information and making everything clearer. Many of our customers call and email us to ask if their parcels have arrived in our warehouse – we don’t mind this of course, we are “people people” – we like having a chat. But each of these phone calls takes time (both for us and for our customers). We know how frustrating it can be, not to be able to reach someone on the phone when you just want to ask a simple question! Very often our phone lines are busy and our customers are trying to reach us to ask simple but important questions about their Crete Express orders. Now our customers can answer many of these questions for themselves by simply logging on and viewing their consignment. This is easier and clearer for everyone, and will save our customers a lot of time. Being able to pay online is a great benefit too, as quite often we play long games of “telephone tennis” with our customers, trying to reach each other to pay for a Crete Express order. All of this can now be eliminated, with the ability to pay securely online whenever it is convenient for the customer, 24 hours a day. Do I Still Have To Complete An Order Form? We would prefer if our customers do complete an Order Form still. An “Order Form” is the same as it has always been – it is the form that tells us you are going to be sending goods through the Crete Express service soon. It enables us to know roughly what to expect to arrive for you. But the Order Form is technically no longer absolutely necessary. Instead of giving priority to customers in the order in which they send us the Order Form, the new system gives priority simply in the order in which customers pay. All you really need to do is start sending items to arrive at our warehouse (or bring them in yourself) – this is what triggers us to open a new consignment for you and enables you to see the items online and pay. If you haven’t completed an Order Form in advance, it doesn’t technically matter. But please do endeavour to complete an Order Form in advance if you can. You can still complete this form on the Crete Express page on our main Nomad website, or on the Home Page of the Crete Express website, at the top as soon as you log in. Will I Still Be Able to Reach Rob, Daz & Danny on the Phone? Yes of course. And our team will still be here in the warehouse to greet you with a smile if you prefer to drop your goods in to us yourself (or collect them from us, if you’re shipping from Crete to the UK). 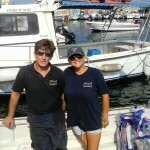 We really like seeing our Crete Express customers and having a chat. We don’t think you’ll need to call us as often, and we hope to be able to be more efficient and offer better service than ever by saving time. But if you need us we’re here. Thanks so much for using our Crete Express service over the years. 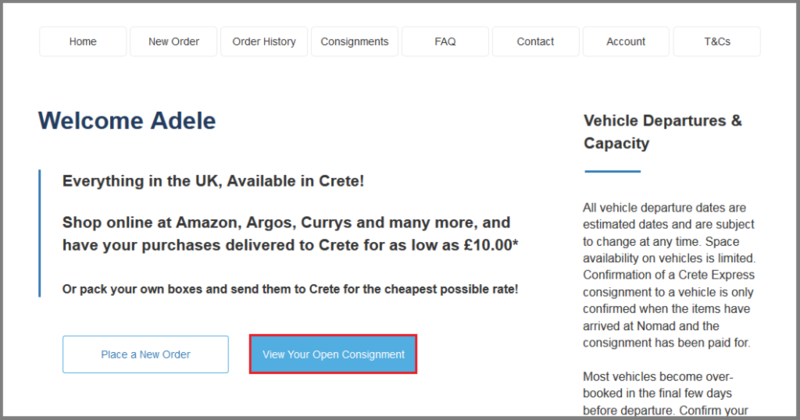 We hope these new changes will make the service even better for you, and we look forward to helping you to send goods to and from Crete cheaply and easily for many years to come. For our “Patra Express” customers, don’t worry, we’ll be updating the system to add Patra Express soon too! To send parcels or online purchases from the UK to anywhere else in Greece, then Nomad Parcels is the best way to do this. For those people affected by the demise of Parcel Delivery Crete (PDC), Nomad will help. Many people paid PDC for delivery of parcels prior to Christmas 2017 and didn’t receive them. We have decided to transport these parcels for free, in order to help sort out the mess and reunite these items with their owners. 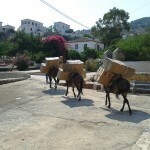 We specialise in removals and parcel delivery to Crete so we have vehicles heading along this route already. We also believe in supporting the expat community in Crete and we do what we can to help support charities on the island. This case is a disaster for many people and it seems only right to help. We need each person’s permission before we can transport their goods, and we also have to be able to find and identify the goods before we can transport them. This will take some planning and organisation, so please bear with us. 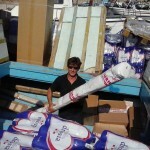 Please also bear in mind that we have agreed to deliver to all of the individual homes in Crete on this occasion (since this is what they had paid for with Parcel Delivery Crete). Once we have permission, we will also collect these if necessary, from the two locations where these parcels are currently stored: we have heard that these locations are a home in Stourbridge and a Big Yellow self storage unit in London. For parcels heading from Crete to the UK we will collect them in Crete and bring them to our warehouse in the UK, where they can be collected. We won’t be able to deliver parcels to individual locations all over the UK, so for these ones please collect them from our UK warehouse. Most importantly, please contact us as soon as possible at enquiries@nomad-international.com if you have parcels that are affected by this problem. We need to open a dialogue and start the process of planning and organisation with each individual person who is affected. If we do not hear from you directly we will not have your permission to transport the goods, and we will not even know that you need help, so please contact us ASAP. We hope to reunite people with their parcels as soon as possible. Last Greece-to-UK Pre-Christmas Dates Finalised! November 5th, 2016 by nomad | Comments Off on Last Greece-to-UK Pre-Christmas Dates Finalised! Our last departure from Greece to the UK before Christmas will be departing on 28th November (and a few days earlier from Crete or the other islands). If you are moving before Christmas or if you would like to send Christmas presents to loved ones in the UK, book now before this vehicle becomes fully-booked! 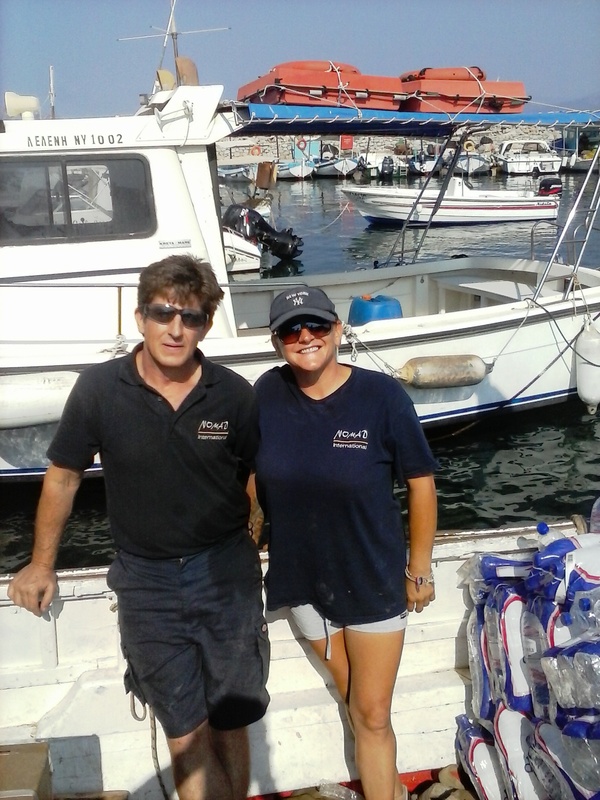 We can stop at other countries en route of course, so if you would like to move from Greece to France (for example), contact us ASAP, we would be happy to help. Our next departure dates from the UK to Greece before Christmas will be 13th November and approximately 11th December (exact date TBA). These vehicles are always very busy so book now! We’re pleased to announce a special offer for Nomad customers and friends. We use Key Currency for our foreign exchange transactions because of both the outstanding rates they offer and the excellent service we receive from them. Our broker (Andy Dyer) has opened his books to friends and customers of Nomad, guaranteeing the same rates and service that he gives to us. This means preferential rates on foreign exchange which are literally the lowest rates on the market, with no transaction fee (brokers usually charge £10 for this; banks charge more). This can represent a saving of thousands of pounds on a large transaction such as a house purchase. Our account manager at Key Currency, Andy Dyer, will also personally look after all Nomad clients, handling the entire process and answering any questions, so that you will be dealing with the same person the whole time. Please see here for more information. With the volatility in GBP – EUR exchange rates following the Brexit announcement, currency concerns are high for many British expats in Greece and Italy, as well as those planning to move abroad. At least having a currency broker you can trust means that whenever you decide to exchange currency, you will get the best possible rate at the time. Q: How do I take up the offer to use Key Currency to buy or sell foreign currency at the lowest rate? A: Either click on this link to visit the Nomad page on the Key Currency website and contact them directly, or just ask any one of the Nomad team about it when you speak to us next, and we’ll ask Andy our broker at Key Currency to give you a call. Email or call us on the numbers above. Q: Why does Nomad recommend Key Currency? A: We’ve used a lot of brokers, banks and other FOREX services in the past, and we’ve found two main problems. Firstly, it’s hard to know if you’re getting the best rate. We ended up using two brokers at once, to enable us to compare rates before making the transaction each time, but this is a bit laborious. We just want a broker who we can trust will give us the best rate every time. Secondly, with some of the large brokerage firms, you speak to a different person every time you call, which makes it hard to know if they are going to give you as good a rate as their colleague would have. It’s better to have one person who you trust, who understands your needs (and in our case our business requirements), and can take care of everything for you. We’ve found that Key Currency solves both of these problems for us. Andy Dyer is the Head of Trading, but as our broker he personally handles each trade for us. He is a genuine guy and doesn’t give anyone a “hard sell”, which is why we are comfortable recommending him to speak to our friends and clients. Most importantly, he gets the best rates for us, and he will do the same for our clients and friends. Q: How do currency brokers make their money? A: They take a small margin on the difference between the price they buy the currency at, and the price they sell the currency at. For example, if you go to Thomas Cook you can see the rates at which they buy currency and sell currency are different  they have a very wide margin. Banks have slightly less margin but it is still very wide, i.e. they take a large chunk every time you make a foreign currency transaction. Giving the best rates on the market means literally taking a smaller margin than other banks or brokers. Key Currency do this because their preference is to win the trust of customers who continue to use them time and time again in future, instead of trying to maximise their profit on one single trade. On a large transaction like a house purchase, Key Currencys margin will be thousands of pounds less than the banks margin, saving you literally thousands of pounds. 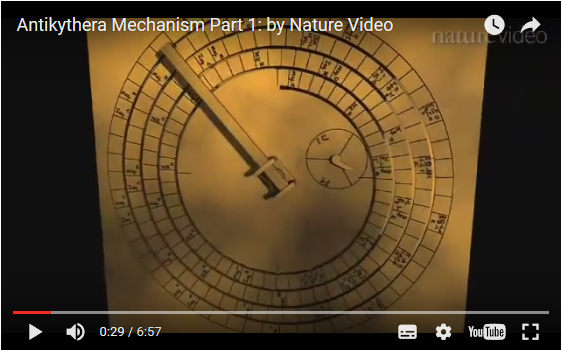 Q: Does Nomad make any money from this? A: Yes, if someone comes to Key Currency from Nomad, a percentage of the small percentage margin that Key Currency makes, comes back to us. We would not do this if we did not believe that Key Currency provide literally the cheapest rates on the market to their customers, and therefore if our customers use Key Currency, they will save money compared to other banks or brokers. Also we know Andy personally through our dealings with him and we trust that he will provide excellent service. Q: Why hasn’t Nomad recommended brokers with a referral relationship like this in the past? A: We have always been concerned about a potential conflict of interest. We never want our clients and friends to think that we would recommend someone purely because we are receiving some income from them. But in Andy’s case, we know that (1) he will actually provide the best rates on the market and (2) he is a genuine person and won’t be pushy or overly salesmanlike – he just provides very good service and excellent rates. So we’re comfortable recommending him to our clients and friends. Q: We havent used Nomad for our move yet, does this matter? A: No it doesnt. You don’t have to be a Nomad customer to start working with Key Currency – just mention to them that you found out about them through Nomad and that is fine. 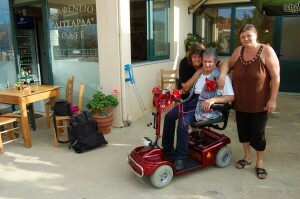 It was nice to make a local resident in Crete happy last week. Nomad was contacted to see if we could assist by bringing over a scooter which had been donated in the UK, to be given to local resident Dimitri, in order to help him to become more mobile. Dimitri and his family were overjoyed when it arrived, and we were very happy to help. 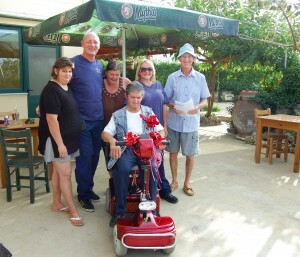 Thank you to Hilary and Stuart Yeomans for organising this and to Paula Fry for kindly donating the scooter. Good news for our Crete customers: we’ve been so busy this month that we’re sending an extra vehicle to Crete before our next scheduled departure. This will be a full articulated lorry heading only to Crete, to cater for our removals to Crete and Crete Express customer orders this month. Our two scheduled departures in March (the first of which is due to arrive in Crete this weekend, and the second of which is scheduled to depart from the UK on 29th March, arriving in Crete in the week commencing 6th April before Greek Easter) will still go ahead as planned. This third vehicle will depart next week will arrive in Crete on 31st March. There is still a small amount of space on the latest of these three vehicles (the 29th March departure) but it is filling-up fast: if you would like to receive your goods in Greece before Easter book now! March has been a busy month for us – besides receiving goods into our Peterborough warehouse, we have of course been conducting many removals all over the country, destined for Greece. 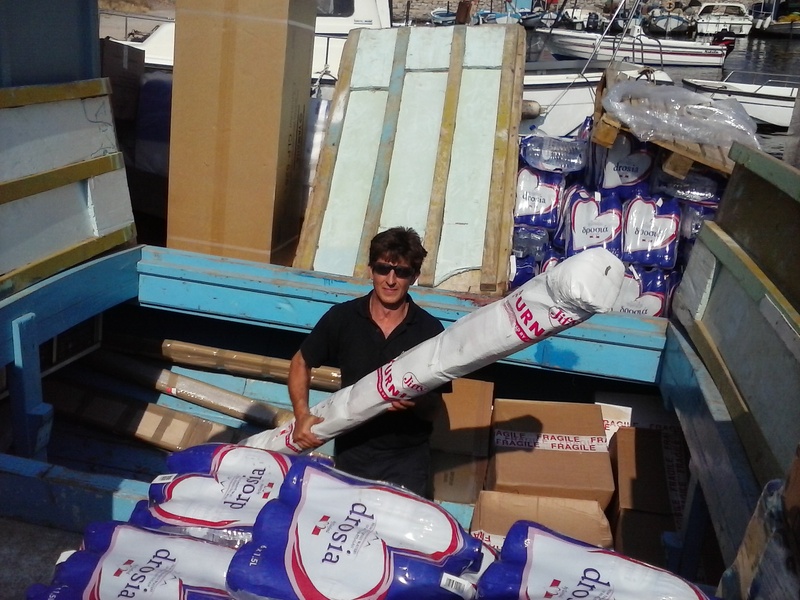 This month we’re delivering in Corfu, Kefalonia, Stoupa, Messinia, Argos (Peloponnese), as well as Patra and Crete. 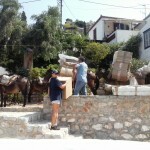 With some removals from Greece back to the UK also this month, our team are looking forward to the Easter break! 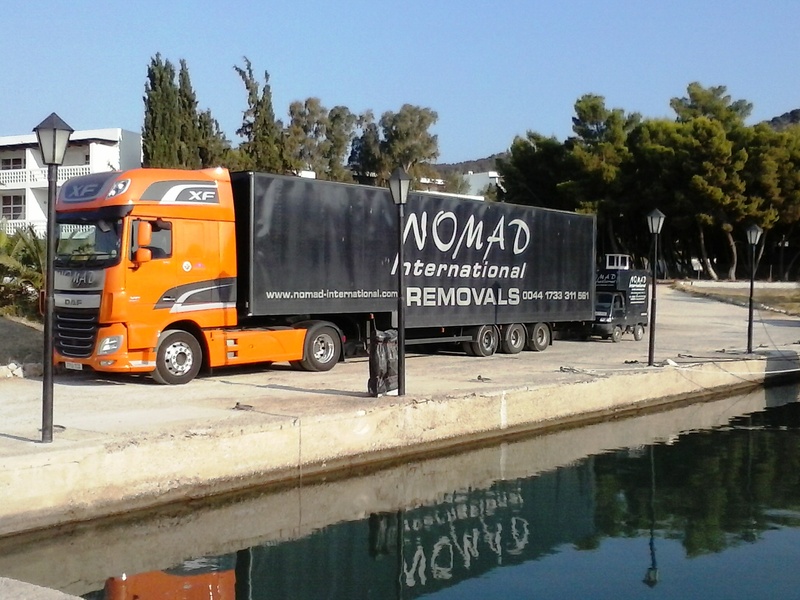 Nomad International is officially now a “Which?” Trusted Trader for the removal industry! “Which?” is a trusted name when it comes to finding reliable, unbiased reviews on products in the UK. They are a not-for-profit, charitable organisation and are therefore completely independent, which is why their opinion has been trusted since 1957. “Which?” has expanded to provide guidance to consumers not only on products, but on services, establishing its “Trusted Trader” scheme. They have now added removal companies, and are applying their rigorous approach to our industry to find the best providers. Nomad is proud to announce that we have passed their inspections and are now certified as a Which? Trusted Trader. We are the only removal companyspecialising in Greece to be endorsed by Which and hold this badge. It means a lot to us because, in addition to insisting on BAR membership, the Which criteria and inspection involved talking to our past customers to get their honest opinions on our services and our company. We passed with flying colours due to the recommendations provided by our kind customers. 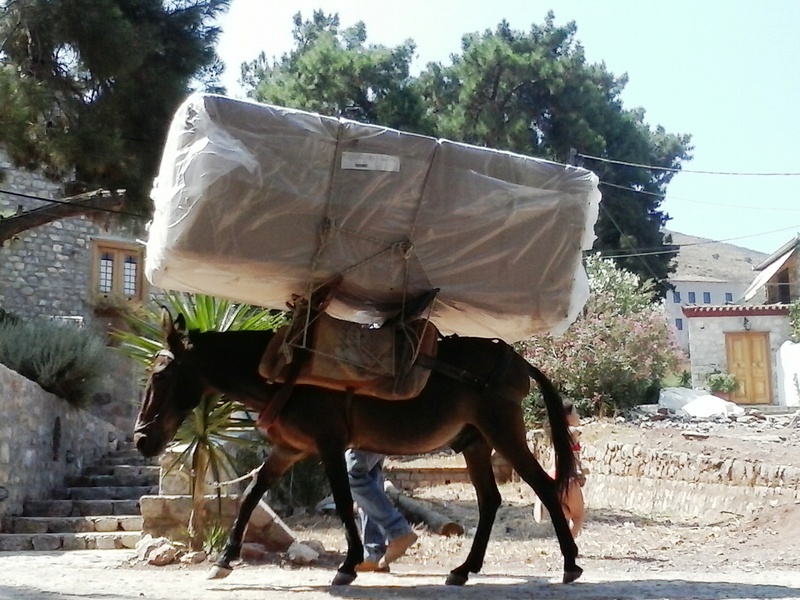 Even more reason to choose Nomad for your removal to Greece or Italy. Here is Nomad’s profile and reviews on the Which? Trusted Trader site. 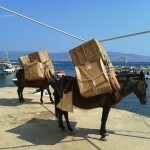 Conducting removals to the Greek islands is a fascinating business. We never cease to be amazed by the beautiful locations our customers choose to live, and we’re always up for the challenge. 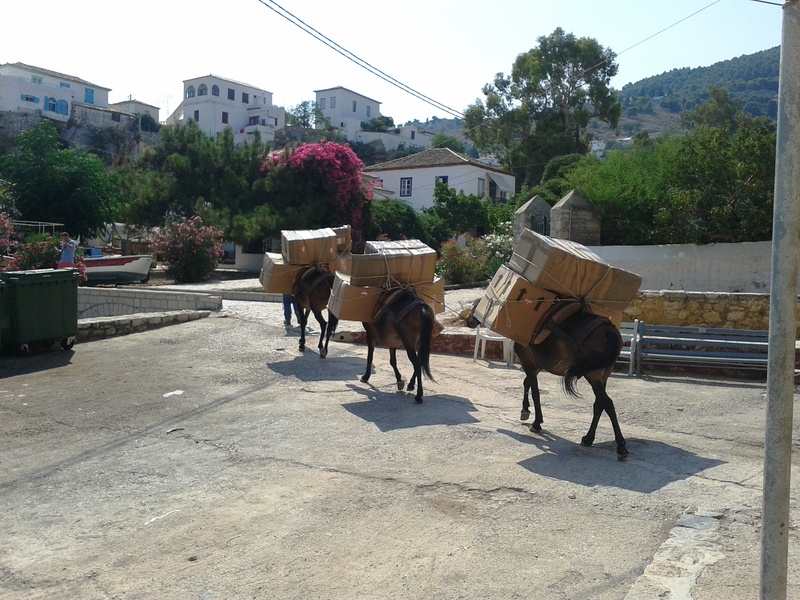 This time a customer was moving from the UK to the tiny island of Hydra, off the Peloponnese in Greece, and contacted us to help with his removal. There was just one problem, he said: trucks aren’t allowed on the island! In fact all vehicles are completely prohibited. Not ones for shying away from a challenge, we didn’t hesitate to take on the job. And finally, the delivery into the customer’s house (which was relatively easy compared to the odyssey we had undertaken to get here). 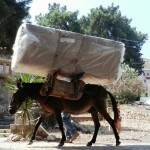 Our customer Mr Burgess was very helpful and even insisted on helping us carry the goods into his home. All in all it was a great job, and another one for the Nomad history books. 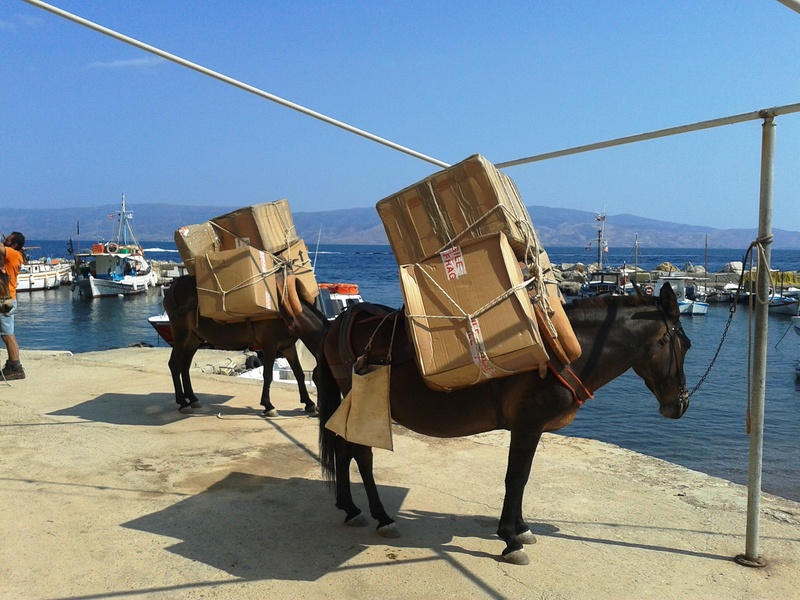 Compared to this job, most of our removals to and from the Greek islands are relatively straightforward! But every job involves a certain degree of difficulty. We’re lucky to have an outstanding team who are capable of doing even the toughest of removals, while still having fun. 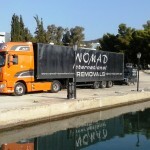 If you want to move to or from the Greek mainland or any of the Greek islands, Nomad International is the company to use.